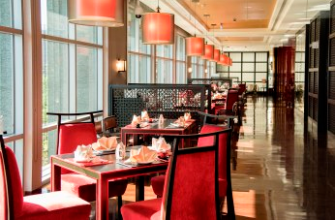 Wei Fang, the sophisticated dining venue located on the second floor of the hotel, is distinctly designed in red, black and gold as the main colors along with tassels and Chinese red lanterns in delivering a total Shanghai impression. The gifted chefs at Wei Fang offer an exceptional menu of authentic Shanghai traditional flavours, provincial specialties and Chinese herbal tea culture in an ambience of rich Chinese heritage. The best hotel airport meal one could ever have. Menu is extensive, preparations are refined. The dishes are exceoptiinakky good. We've visited The Wei several times, but the menu before wasn't attracting. However, the visit we experienced this time overall is really good and the food was tasty too. 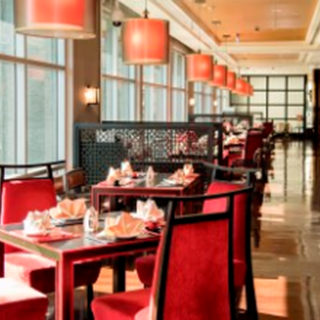 Very delicious Chinese food here, you should try it when you stay in Novotel Taoyuan, do not miss this restaurant, you will find it really worthy.